J. Jane Consulting | alyssa squitieri. chesterfield, virginia. | sister. daughter. student. friend. Alyssa comes from a big family with three older sisters and plenty of little nephews. 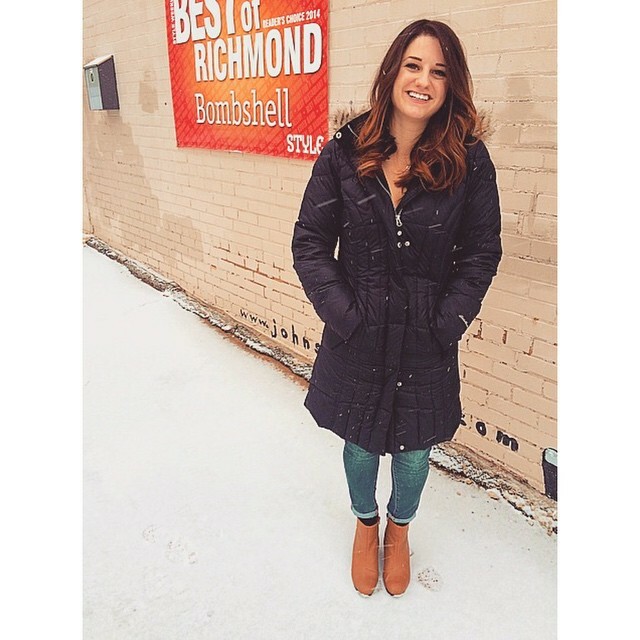 She initially chose Virginia Commonwealth University in Richmond because of their outstanding medical school, but after learning more about herself and where her true passions lie, she switched over to the business school to pursue a degree in marketing. Her interpersonal skills have been known to take her places she could not ever have imagined. Alyssa’s dream job would be one that allows her to work within a travel and hospitality environment. Creating memorable experiences for others is her passion and she looks forward to sharing that with the world. Her perseverance. No matter what our family was facing, she always had a way of making us feel like everything was okay and that we were going to get through it together. Much of the time she had to make very difficult choices for us. She had to sacrifice a lot of her life and happiness so my sisters and I had the opportunities in life that she didn’t have. With being a strong and independent woman, she’s always showed me by her example to accomplish my dreams. She raised me to believe in myself and understand the importance of not being dependent on others for happiness or success. Thank you for making all the sacrifices you’ve made in my life so that I can become the woman I’ve always aspired to be. Thank you for giving me freedom in my life to become anyone I want to be. I admire your incredible selflessness, love, support, and motivation more than you know. I love you so very much.